G&P Engineering Company Established in 1987, G&P has a wide range of duplex and triplex reciprocating pumps, direct circulation drilling rig, reverse circulation drilling rig, DTH drilling rig, Blast hole drilling rig, etc. The founder of company Mr. C. B. Gandhi has designed & developed various types of reciprocating pumps, drilling rigs during last 30 years. Since the demand for our pumps and rigs in the various countries, We have established our product in African countries, like Kenya, South Africa & Ghana, Ethiopia, Nigeria and Australia, Sri Lanka, Dubai, etc. Our Rigs are ideal for DTH Drilling, Air Rotary Drilling, and Mud Rotary Drilling etc. Our Rigs are all hydraulic drills, with top drive head. GPS Series, Duplex, Double acting, Piston type, high pressure, reciprocating slush pumps are widely used for oil line, mining, industrial, Geophysical survey, Water well & Core Drilling applications, for handling drilling mud, Cement Slurry, Sewerage and general water service. GPS Series, Triplex, single acting, Piston type, high pressure, reciprocating slush pumps are widely used for mining, industrial, Geophysical survey & Core Drilling applications, for handling drilling mud and general water service. 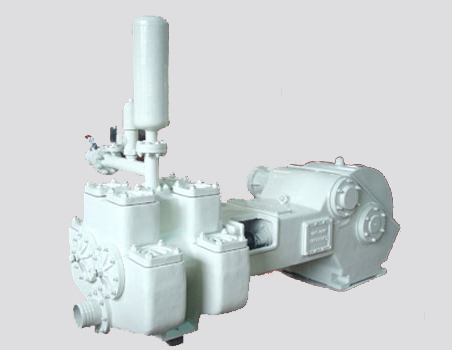 Pumps are specially designed for to handle high pressure applications. Reverse Circulation Mud Rotary Rig is powered by single/double engine and rated to drill 18” to 60” Dia. hole 400 feet to 600 feet deep using the centrifugal pump. Deeper holes are possible with Air injection equipment. Our Rigs are ideal for DTH Drilling, Air Rotary Drilling, and Mud Rotary Drilling etc. Our Rigs are all hydraulic drills, with top drive head. Choice of compressors are available up to 350 PSI. Choice of mounting available, Truck mounted / Trailer Mounted. Want to know more about G&P Engineering? G&P Engineering Company is established in 1987. The founder of company Mr. C. B. Gandhi has designed & developed various types of reciprocating pumps, drilling rigs during last 30 years. We have established our product in African countries, like Kenya, South Africa & Ghana, Ethiopia, Nigeria and Australia, Srilanka, Dubai, etc.